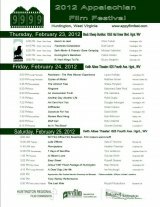 HUNTINGTON, WV (HNN) - The Appalachian Film Festival takes places Feb 23-25 at the Black Sheep Burrito (Feb 23) and the Keith Albee Performing Arts Center (Feb. 24-25). "The Last Ride," a film based on the last days of Hank Williams, will be a special presentation , Sat. Feb . 25 at the Keith starting at 8:30 p.m.
HUNTINGTON, WV – “Thermal Traces,” the latest exhibition at Gallery 842, will open to the public with a reception from 6 to 8 p.m. this Friday evening, Jan. 20. The exhibition will feature encaustic (hot wax) paintings by three artists: Kristy Deetz, Lorraine Glessner and Reni Gower, who curated the exhibit. HUNTINGTON, WV (HNN) - Thanks to a chance find at a rummage sale, the Appalachian Film Festival will be showing rare film footage (converted to DVD) shot of the devastating 1937 flood in Huntington WV. Courtesy of Mary Browne, the 15 minutes of lost footage will be screened Saturday, Feb. 25 at 4 p.m. at the Keith Albee Performing Arts Center. 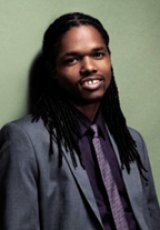 On March 17, 2012 Your Huntington Symphony Orchestra will present, "An American Rhapody" feartuing, Grammy Award Winner, Jazz Pianist, Mr. Bill Cunliffe. When they write a ‘real’ unknown to famous script, there should be more people like Landau Murphy. who won the America’s Got Talent televised contest. 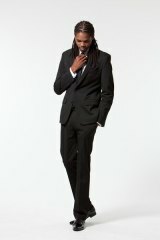 He has now serenaded Vegas and other large cities, has contracts with Sony/Columbia Records, and his “That’s Life,” CD claims #1 in the Amazon Jazz category. Huntington, WV.—Big Sandy Superstore Arena presents the Newsboys “God’s Not Dead Tour 2012”. The Newsboys will bring their biggest tour yet to the Keith Albee Performing Arts Center on March 11th, 2012 for a matinee 3 p.m. show. Tickets go on sale this Friday, January 20th at noon. 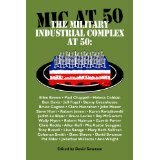 Published today, MLK Day 2012: "The Military Industrial Complex at 50" is the most comprehensive collection available explaining what the military industrial complex (MIC) is, where it comes from, what damage it does, what further destruction it threatens, and what can be done and is being done to chart a different course. 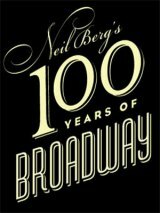 Artists Series Plans "100 Years of Broadway"
HUNTINGTON, WV (HNN) - The Arts Renaissance Center has announced their winter 2012 schedule of classes. 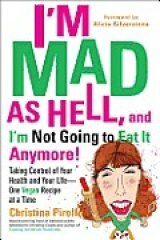 Most of them begin in January.